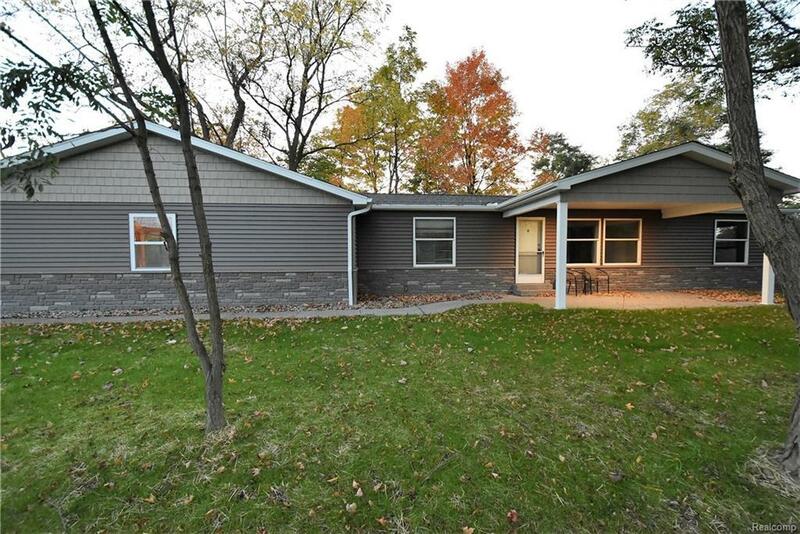 Redone manufactured ranch home that has all new siding, roof and massive 28x32 3 car garage! New driveway, patio and entrance. Inside has all new flooring, updated electrical and plumbing. Large master bedroom has private master bath! Open floor plan makes this home feel larger than it is. Sits on over an acre of land in beautiful subdivision surrounded by gorgeous homes. Sitting on a new foundation and poured crawl has lighting and big enough for additional storage area. Dont miss out on this great deal!